The SUV and crossover segments have become more and more popular as car shoppers are drawn to the versatility these vehicles offer. 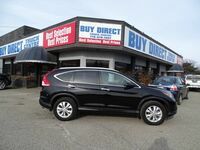 Car shoppers looking for used SUV models in Kelowna BC will want to take a look at our selection at Buy Direct Truck Centre. The small SUV has become the new family car. The added ride height and increased storage space offered by this body style have had these vehicle attractive choices for everyone from single younger adults to families. Crossovers and SUVs also offer features not available on many car models, such as all-wheel or four-wheel drive. Car shoppers visiting Buy Direct Truck Centre will find a wide variety of pre-owned crossover and SUV models. 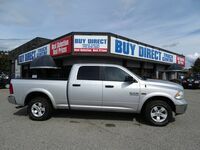 Buy Direct Truck Centre offers an extensive selection of pre-owned crossover and SUV models from many different brands. The popularity of these vehicles has led to a variety of models entering the market in many different sizes. Regardless of your needs as an owner or driver, you can be assured there will be a crossover model that is an excellent choice. If you are looking for a small crossover that serves as a practical daily driver with an added degree of functionality, models like the Chevrolet Trax and Equinox, Ford Escape, Nissan Rogue, Hyundai Santa Fe and Toyota RAV4 are great options. Many crossovers offer fun-to-drive driving dynamics and impressive performance. Sporty models like the Mazda CX-5, Kia Soul and Jeep Renegade are fun and practical. The Jeep name has become synonymous with the crossover and SUV segments. Models like the Cherokee, Grand Cherokee, Compass, and Wrangler are at home both on the roads and off. 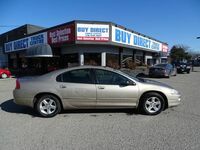 Our inventory of used crossover and SUV models offered at Buy Direct Truck Centre is always changing. Check back regularly to stay up to date on the vehicles we currently have to offer our visitors.